Succumb to snow angels, temporary trenches in the gradual kingdom. Sculpture: The body the ornament which marks the body. Christopher Munde’s poetry has appeared in Beloit Poetry Journal, Blackbird, Massachusetts Review, Third Coast, and elsewhere. He is an Academy of American Poets Prize recipient, and was recently a finalist for the Robert Dana Prize. He lives and teaches in Jamestown, NY. 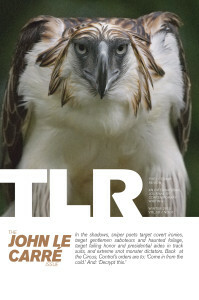 “Replicas” was originally published in John le Carré (TLR, Winter 2015).